Rich imperial spices are combined with Northern Indian tea leaves to create a hearty, flavorful cup. Deliciously full-bodied when prepared traditionally (simmered with water, milk & honey). 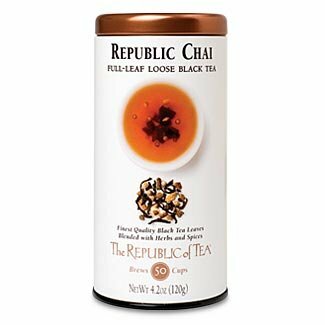 Use 1 teaspoon of Republic Chai Full-Leaf tea per 6 ounces of water. Steep for 3-5 minutes. For iced tea, double the amount of tea and pour over ice.